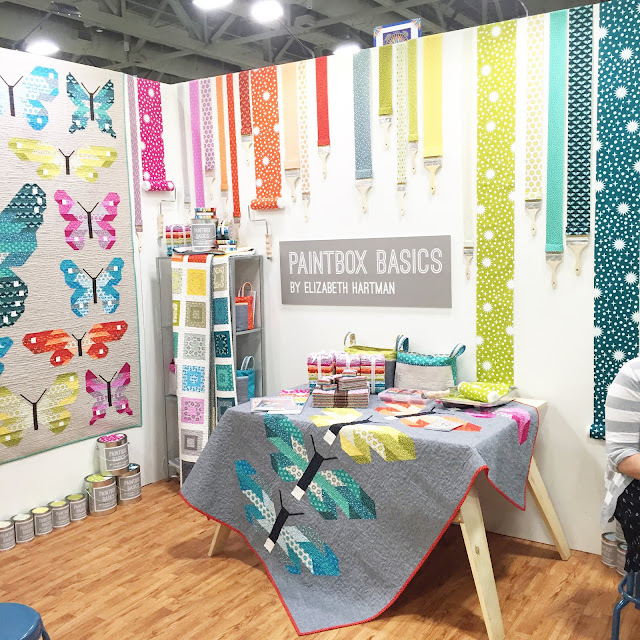 A Bright Corner: Five Friday Favorites: Favorite Quilt Market Booths! Five Friday Favorites: Favorite Quilt Market Booths! Market was a blast and I took almost 200 photos! 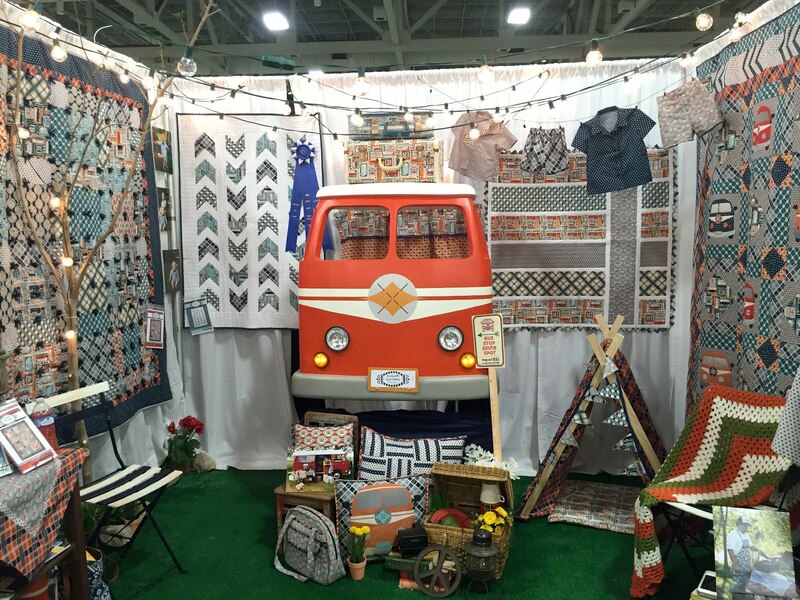 So for this week's installment of Five Friday Favorites I thought I'd share with you my favorite booths from quilt market. Liz & Liz (a.k.a. 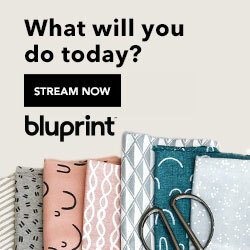 Simple Simon & Co.) are designers for Riley Blake and this is their new upcoming line called When Skies Are Grey. Their booth was so eye-catching with the black, white and gold color combo. You can see more of the line here. It has some sweet pinks and blues along with what you see in the photo above. The fabric is coming in October and will be available in cottons, knits and double gauze! In case you were wondering, I'm a big fan of color. 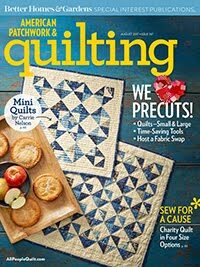 But I think most quilters are, right? So this booth made me stop in my tracks. I thought the way she used the paint brushes and rollers was so very clever! 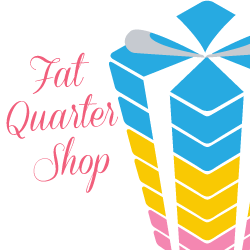 Elizabeth Hartman blogs here, and designs fabric for Robert Kaufman. Paintbox Basics will be available in August. 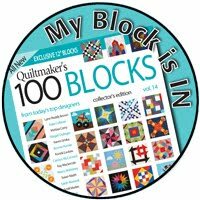 Emily designs for Michael Miller, blogs here at Crazy Old Ladies, and has designed a whole slew of awesome quilt patterns. 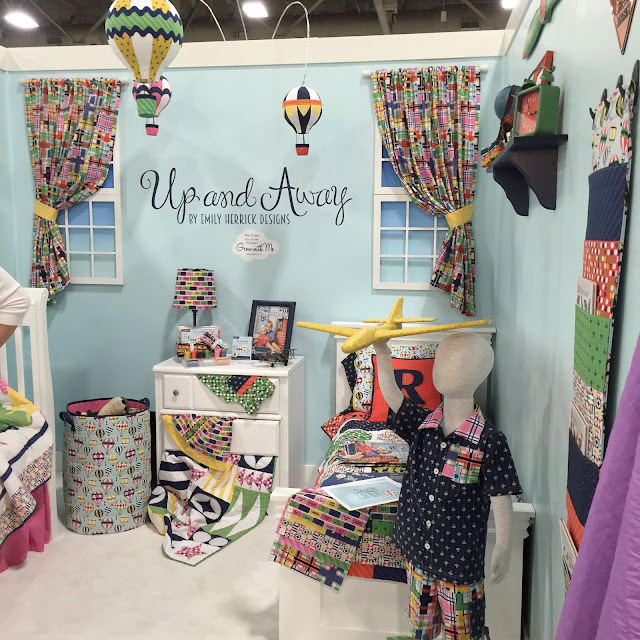 Up and Away is her newest line for Michael Miller and comes in two colorways, Butterflies, and Planes. See them both here. 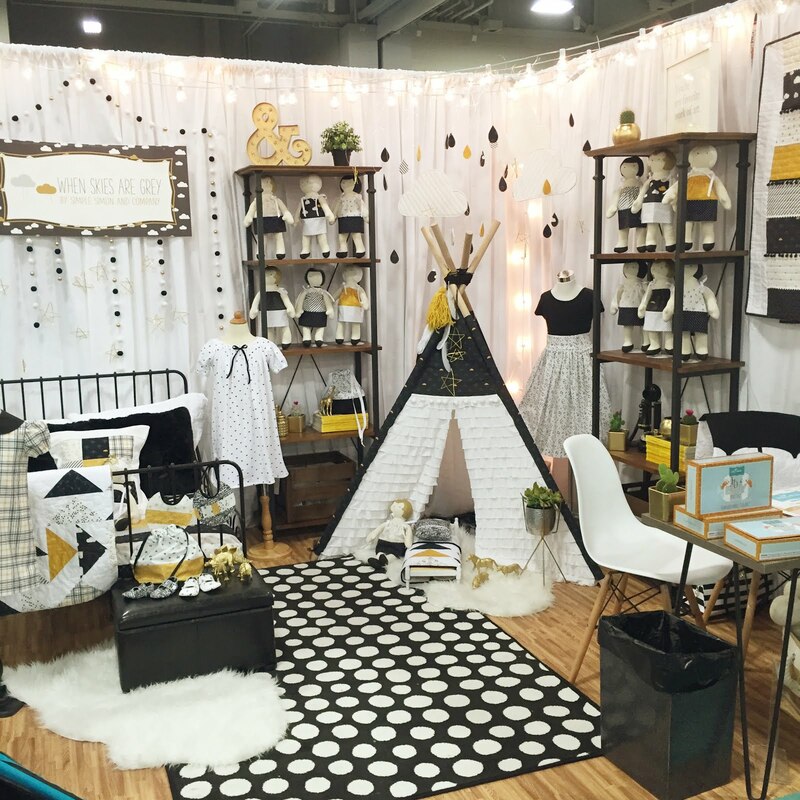 I love so many things about her booth - it was such a cozy kids' room. I just wanted to hang out there. Up and Away will be shipping to stores in June. That's so soon! There was so much see in this booth so I had to get two photos! 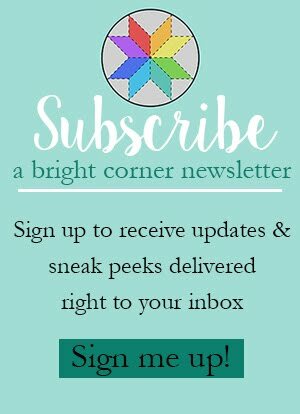 Tasha Noel designs for Riley Blake and her new line, Pixie Noel is available now in stores (so hurry and grab some while you can!) You can see more of Pixie Noel here and Tasha's blog is here. 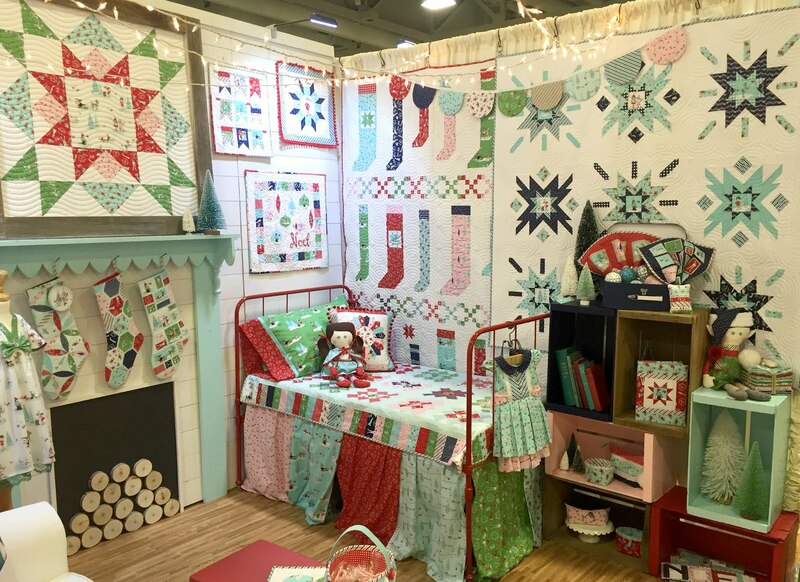 Isn't that snow globe quilt in the top pic just adorable? Such a clever idea. 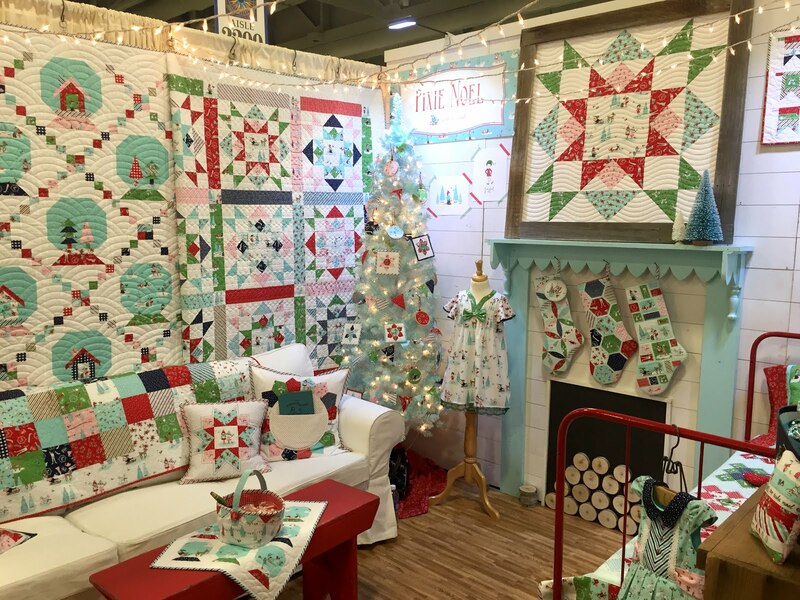 And I love the stockings hanging on the mantle, and the single-block quilt hanging above it. Makes me wish I had a fireplace so I could do the same. I kept coming back to this booth - both to visit Tasha and to just sit and look at all of the details in the booth! Keep on Groovin' is the first line designed by Sugar Sisters for Riley Blake. (See more of the line here.) The whole booth had this cool retro vibe about it - mostly becuase of that awesome VW bus in the center. Lindsay and Kelsey were even dressed to match the booth. I'm kicking myself for not getting a pic of them. 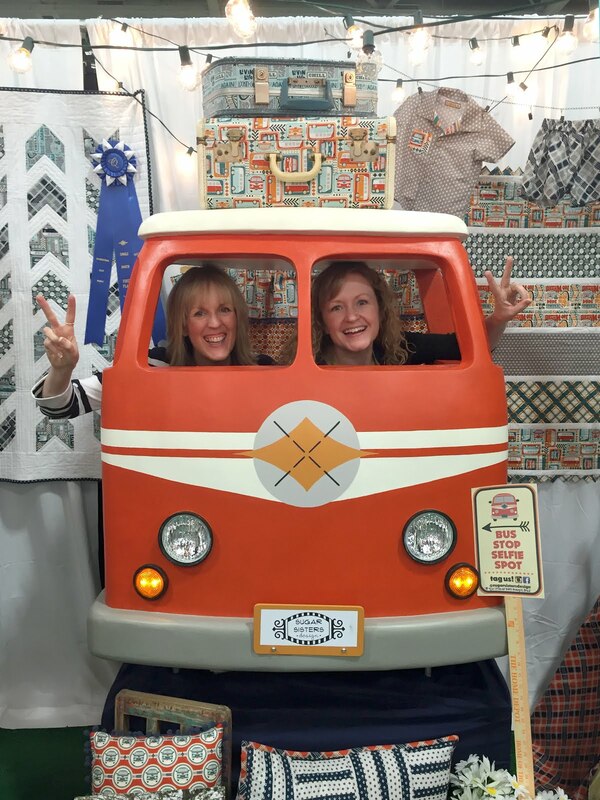 The fun thing about their booth (besides having SO many projects to check out) is that the bus is actually a photo booth! 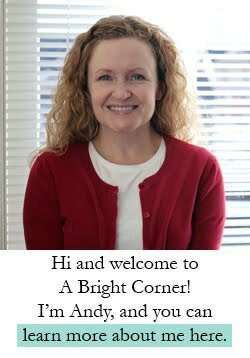 Here's Jodi Nelson (a.k.a. Pleasant Home) and I going for a spin. Peace, man. It was a fun, fast weekend and I had a hard time choosing just 5 favorite booths. I have another list of the new, upcoming fabric lines that I'm most excited about - but that will have to wait until next Friday. 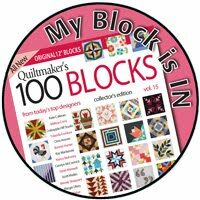 For now, you can see more of quilt market here on A Quilting Life blog, and here on Jedi Craft Girl's Blog. And you can check out the hashtag #quiltmarket on Instagram as well. So glad you were able to get to market...it was wonderful to see you there! Looks like a lot of fun! Thanks.